Cultures of men and masculinities in Turkey have been under transformation as the country oscillates between modern, globalizing, and democratic ideals and reactive, fundamentalist, and populist sensibilities. This one-day symposium aims to bring issues that affect embodied, practiced, experienced masculine subjectivities regarding political polarization, cultural discrimination, social abjection, ideological divisions, ethnic and religious conflicts, and the ascendant authoritarian governing regimes in Turkey. 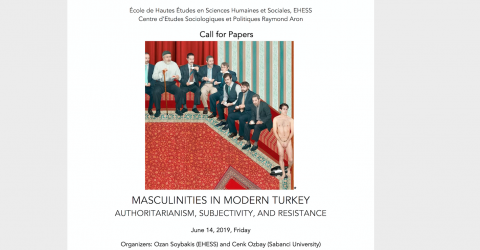 We invite papers from across different disciplines to discuss how particular gender structures come into being and how masculine spaces of subjectivity, negotiation, and resistance emerge in Turkey. Please send an abstract and short bio to osoybakis@gmail.com and ozbay@sabanciuniv.edu by May, 1st 2019.